At TheCastleConcierge.com we strive to help you with tips and resources on travel, parenting, and family fun. Although we share our love for Disney on this blog, we each bring a strong work ethic and countless hours to this website in order to engage with our readers. So, yep, we find it permissible to be compensated. We accept advertising and participate in various affiliate programs which provide a bit of extra cash for our family. If we recommend a product, it is only because we use this product personally or have seen the product’s superior attributes for ourselves. We intend to earn and keep the trust of our readers. Integrity is always important to us. This policy is valid from November 30, 2016 for thecastleconcierge.com — a blog personally written and edited by Kimberly, Michael, and Nic LaPaglia. Questions can be sent to editor @ thecastleconcierge.com. The views and opinions expressed on this blog are purely the bloggers’ own. Any product claim, statistic, quote or other representation about a product or service should be verified with the manufacturer, provider, or party in question. 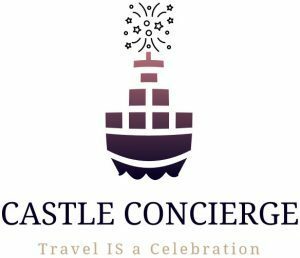 TheCastleConcierge.com blog is in no way part of, endorsed by, authorized or affiliated with the Walt Disney Company or its affiliations. For official Disney information visit Disney.com. Our costs for meals, hotels, attractions, transportation, etc. are paid out-of-pocket by our blogging team. In the event that one of our writers receives any of the above components complimentary, we will disclose this in the corresponding post. We are under no obligation to review a product favorably at any time. Refer back to our integrity policy. Any representation about a product or service should be verified with the manufacturer or provider. You may see product links to “affiliation programs”, these track the source of the purchase back to TheCastleConcierge.com. There are no fees for purchasing an item through these links, but we do receive a small commission from these sales. Please note that your purchases are confidential and that we do not know who has bought items via our links. In addition, you do not pay more on items when using our links. TheCastleConcierge.com is a participant in CJ Affiliate by Conversant (formerly Commission Junction). Even though I receive compensation through this affiliate program, I always give my honest opinions, findings, beliefs, or experiences on any topic or product. That said, any product claim, statistic, quote or other representation about a product or service should be verified with the manufacturer, provider, or party in question. Text and image ads that appear on TheCastleConcierge.com are provided by third party ad agencies such as Google Adsense. I do not personally endorse the products and services advertised in these ads. These companies are not affiliated with TheCastleConcierge.com. The Castle Concierge may accept advertisers and other promotional partnerships. If we engage in these types of relationships, it is because we absolutely believe in endorsing the product. These partnerships will not influence our opinions when writing posts for this blog.